People experience bad moods all the time. Nothing seems to go right and although they try to snap out of it, sometimes it seems like it is inevitable that they will just have one of those bad days? Well, there are ways to help cope with days like this and much of the process begins with changing the way a person thinks. How a person thinks mentally can be the key ingredients for the type of mood a person experiences. Often, a bad mood can be due to a number of different factors, but there are ways to put the self back on track and in a better mindset to promote feelings of well being. There are many techniques that can help alleviate a bad mood. Many of these techniques have been around for centuries and there are good reasons for this. These techniques embody a holistic approach that will leave a person feeling calm, happy and centered. Sometimes when a person is in an unpleasant environment, this can set off a number of things including, how one feels inside. Learning to be in a peaceful environment, for just 30 minutes to an hour a day can help boost the mood and put them in a better peace of mind. Go into a special room if need be, and take time out for yourself to help collect thoughts, clear the mind of any negativity and produce a calm within the body. By practicing this simple technique everyday will have do wonders for the mood and promote relaxation within the body. Being in a room that is messy and unorganized can influence a bad mood or worsen a bad mood. By taking the time to organize and clean a room can do wonders for the overall sense of well being within a person. This also helps to alleviate any distractions that may occur because of this disorganized space. People not only generally feel better in a clean, highly functional room, but they also perform better. According to Dr. Maoshing Ni, his research indicated that the scent of smell can have quite an impact on our physical and mental aspects of well being. Using the sense of smell stimulates the limbic system in the brain. This part of the brain associates moods and memory, which is why aromatherapy is such a popular holistic method to help uplift a poor mood. It is important to surround the self with a very pleasant scent. Most of the scents that have shown to increase the levels of endorphins within the body are scents like lavender and vanilla. So invest in some nice scented hand lotion and feel the bad mood melt away. If lotion is not for you, try some scented candles in these scents. They can do wonders for the environment and put a person at ease. Unhealthy eating plans can also contribute to a person's mood and well being. The more processed foods and high sugar foods a person eats can affect their mood. Food from nature, tends to be the best source of many of the essential vitamins and minerals the body needs. Fruits and vegetables are packed with B1 and thiamine which have been known for promoting mental well being and helping manage a person's mood. 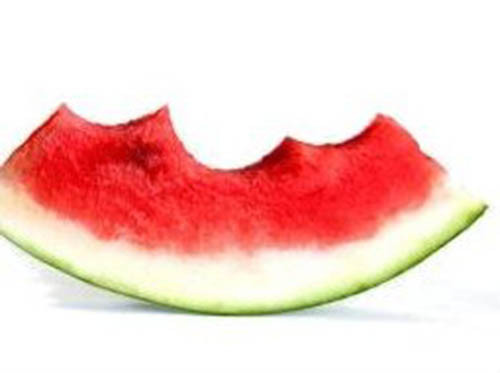 Try eating some peas and watermelon to help increase the amount of thiamin and B1 vitamins within the body. This well help level the chemicals in the brain and promote a good mood. Listening to some favorite music can actually alleviate a bad mood. This is because people tend to turn their attention onto the sound of the music as oppose to how they are feeling. Dr. Luciano Bernardi of the University of Pavia, who has studied the effects of music on mood states that it is a combination of fast and slow rhythms in combination with pauses that may induce a state of relaxation. He explains that this technique helps to reduce sympathetic activity and is potentially useful in managing cardiovascular disease (Bell, 2006). This method helps to ease the mind and is good for soul and the spirit. Bell also states that easy listening music can be used to induce a good mood (Bell, 2006). Have you ever noticed that flowers always seem to have a positive effect on the mood? Well, there is a reason for this and it has to do with their aesthetic appeal and aromatic benefits. There are reasons why flowers are considered to be the perfect gift for people who are feeling sick. Flowers are colorful and they can alleviate a person's mood and even help relieve stress. One study conducted by Dr. Maoshing Ni concluded that during a typing assignment those who were in close proximity of a flowering bouquet were more calm and relaxed then other people who sat next to plants. Studies have shown that eating chocolate helps to increase the serotonin level in the brain. Serotonin is one of the neurochemicals that promotes well being and effects mood. Dr. David Katz gives an explanation of why people love chocolate so much. He states that eating chocolate stimulates the centers in the brain which bring pleasure. It is a compound referred to as xanthine, which contains caffeine, helps to induce that reaction (Chatale, 2009). 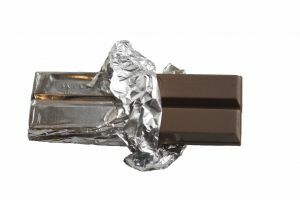 So take a bite of a nice chocolate and feel the bad mood lift instantly. Dr. Sarah Schenker states that eating chili peppers helps to induce a good mood because it activates the endorphins in the brain. Endorphins are known for their pain relieving properties as well as their ability to induce feelings of euphoria. Chili peppers contain substances called capsaicinoids which are activated when the chili pepper is eaten. This action causes the mouth to think it is being burned so it sends an influx of endorphins to ease the pain. This increase in endorphins helps to boost the mood and has been known to last for up to an hour. When a person laughs there is an influx of endorphins that are released within the body. Try laugh therapy, which is incorporates laughing into the daily routine. This helps to elevate mood and even combats symptoms of depression. Trying to do anything with low blood sugar is no fun. When blood sugar is low people have stated to feel anxious, irritable and fatigue begins to set in. All of these factors can contribute to a bad mood and a person's overall well being. So make sure to eat something to keep the negative effects of low blood sugar from setting in. According to Dr. Sarah Schenker sometimes people can experience tiredness and a depressed mood when their blood sugar levels are low. The key from preventing a bad mood is to prevent bad thoughts from occurring in the first place. Although people may not have control over the situations that occur, they do have control over how they think and react to them. Therefore, by being able to eliminate negative thinking patterns is a sure fire way to alleviate the negativity of a bad mood. By learning how to effectively cope with the onset of a bad mood people can begin to use their own individual strengths paired along side many environmental tools to promote a better mood. The trick is to take action when a bad mood begins to take form. By using many of these techniques in this article, one can have a better piece of mind and feel better about themselves. These techniques can contribute to a better mood and affect a person's mental and physical health, as well as the way a person feels inside.